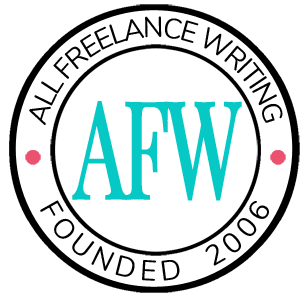 The Writer supports the work of professional and aspiring writers with industry information, writing instruction, and motivation. The magazine accepts freelance queries for Breakthrough pieces, Freelance Success tips, Writing Essentials on craft, Market Focus, and their Off the Cuff section of around 1000 words each. They also accept Poet to Poet submissions of 500-750 words, Take Note literary pieces of 200-500 words, and Writer and Work columns for fiction authors of 750-1500 words. Payment varies. Theme Park Tourist is an online publication accepting freelance submissions for articles ranging from 750-1000 words. Articles are generally in list format, but they also accept some long-form articles. They have a particular interest in stories related to Disney and Universal parks, especially those in Florida. However, they accept coverage related to other theme parks as well. Pay is $50 per article, and posts getting a lot of traffic may be eligible for added bonuses of $25-150. They like contributors who can submit at least 2 articles per month rather than one-off submissions. This site doesn't publish traditional travel pieces for the general public, but rather focuses on content that teaches people how to get paid to travel (travel writing, photography, etc.). They pay $50-75 for articles they request for the website, $100-150 for interviews and personal stories, and $150-200 for articles with specific advice on how readers can earn money while traveling. This online magazine focusing on horror and dark fantasy is published twice a year. Every other year they also release a print anthology. They accept short stories of 1000-7000 words and flash fiction of 500-1000 words. Stories of 2000-5000 words are preferred. They pay $100 for short stories or $30 for flash fiction, plus one print annual. Today's Catholic Teacher publishes four times per year and serves K-8 educators working in Catholic education. The magazine covers developments in curriculum, testing, technology, and more as they affect the classroom, national issues and trends, and suggestions on the teaching of religion and academic subjects. Features run around 1500 words and pay $300 on publication. Touchstone, "A Journal of Mere Christianity," accepts features, "views," and communiqués that would appeal to a "broad audience of traditional Protestant, Catholic, and Orthodox believers." For these contributions, they pay $125 per published page. TransitionsAbroad.com accepts freelance contractions for its Web magazine. Examples of topics covered include working abroad, teaching English abroad, studying abroad, and cultural immersion travel. They pay on acceptance, and payments range from $50 to $150 for articles in the 1250-2000+ word range. Trapper's Post is a publication about trapping, covering everything from equipment and strategy to fur handling. They accept features up to 2000 words, and will consider longer features to be split into series. They also want shorter articles and tips from 500-700 words. Pay is roughly $.10 per published word with a top payment of $150 per article. Trapper's World is a publication "for trappers by trappers." They are looking for feature articles up to 5000 words (including photos). These articles tell the story of a specific trapline adventure. How-to articles up to 2500 words can also be pitched. They pay up to $100 for feature articles.